Offering you a complete choice of services which include SEO Hub Magento Extension, Quotation Manager Magento Extension, CRM Integration Solution, Magento QuickBooks Integration and FedEx Smart Shipping Magento Extension. 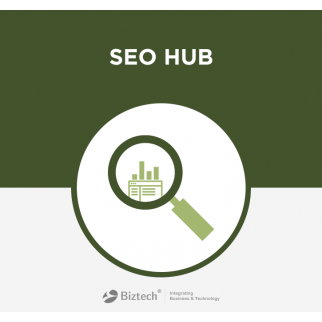 SEO Hub extension is a complete on page SEO solution for Magento. It allows store owners to add dynamic meta data and manage templates for products, categories and CMS pages. Through these templates you can manage meta tags like title, description and keyword for all products and categories and also product content like product title, description, short description and product urls. Wondering how to sell online without publicizing prices? Want to save time from maintaining sheets and email chains for customers and prices? Looking for a solution to convert customers easily? The answer to all these questions is Quotation Manager - A simple easy to install extension Magento extension from Biztech which allows your customers to ask for a quote, provide a proposed quote and place order with agreed quote; all within your Magento store. Biztech’s Magneto – Sugar CRM Integration is a Saas based integration solution that allows your sales team to have a comprehensive overview of your business, customers and orders from your Magento system in your SugarCRM system. Magento - Quickbooks integration solution allows your sales teams to get data about your online business and customer's critical accounting data from QuickBooks system. We have developed a Cloud-based SaaS Solution for Magento - QuickBooks Integration as one way process. We can integrate data from Magneto to QuickBooks and vice versa. Magento-SuiteCRM Integration Solution that works through our custom developed integration gateway. It is a SaaS based unique integration solution that data data updation between integrated modules. Our solution allows your accounting and sales teams to have a comprehensive overview of your business, customer and orders from your Magento system in your SuiteCRM system. FedEx Smart Shipping Extension allows store admins to integrate FedEx Freight Shipping service with their Magento store and manage all aspects of shipping directly from within their Magento dashboard. Get Live Shipping rates, manage FedEx configurations, validate addresses, provide multiple delivery options, manage shipment tracking and consignment pickup by FedEx - in short, everything you would want from the world’s leading ecommerce shipping service.